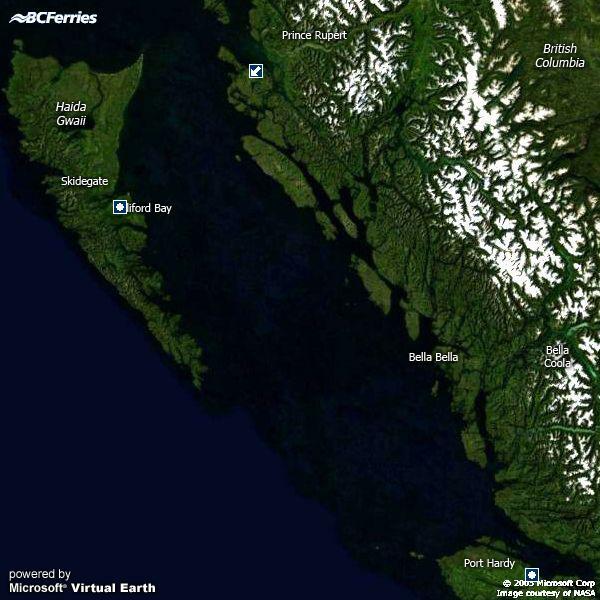 BC Ferries uses Global Positioning System technology (GPS) to track vessel locations during the operational day. Click on the maps below to see where our ships are now. This page includes tracking maps for vessels sailing from our major south coast terminals, as well as mid and north coast services. During fall and winter months, vessels on our Mid and North Coast routes showing as 'In Port' may still be waiting to dock due to heavy weather conditions. Customers are advised to check our Service Notices page or call us for updates.